I found this little paragraph in one of my old school exercise books. 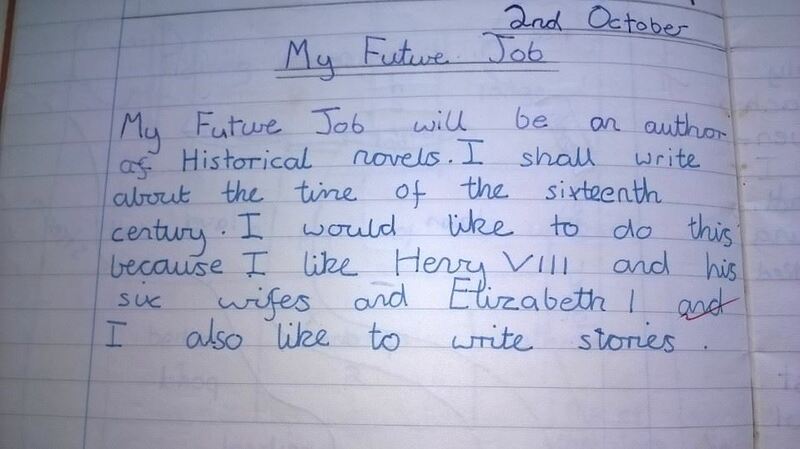 I think I was about ten years old when I wrote it. ..and this summer my book, all the long gone queens, is going to be published by Eyewear. Even though life sometimes took me on a different path I never gave up my dream of being a writer. I find that amazing and wonderful.